LG played up its push into wearable tech earlier this morning, and now it looks like Sony’s turn to do the same. Sony Mobile president and CEO Kuni Suzuki took the stage at the tail end of Sony’s CES press conference to show off what he called “the tiniest gadget Sony has ever made” — the life-tracking Sony Core. Named a “life-tracking” device, the Sony Core connects with your smartphone via Bluetooth and tracks every aspect of your life: from workout routines to social interactions, the Core presents the data in a grid to show you how much time you spend on each activity you partake in. We don't know yet on whether or not this will exclusively work with Sony devices only like Samsung Galaxy GEAR. Measurement of the amount of time you spend sleeping, the amount of time you spend walking around, exercising, text messaging, browsing the web, or talking on the phone – it can track and record everything you do. If for some reason your phone and Core are disconnected, fret not, the Core continues to record the data and will transfer the metrics to your handset once the connection has been re-established. There are few other things Core can do. It will occasionally send sensor data updates to the phone at which point it gets mashed together with all that social and entertainment information to complete Sony’s complete life logging package. In the event that the connection between the two is lost, the Core will continue to record that data and it’ll vibrate on your wrist as long as you’re within a certain range. Unfortunately not that much additional data has been given on the Core. Sony’s CEO, Kuni Suzuki said that the Core’s unveiling today was a tiny sneak peek of the device. 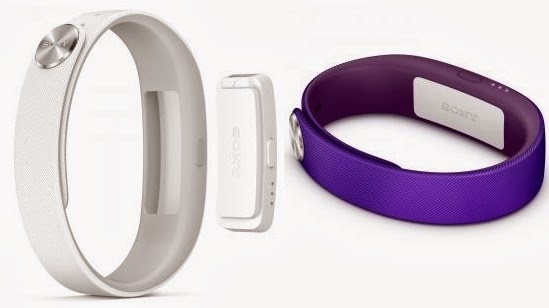 Sony plans to launch the SmartBand this spring. No pricing was announced. Take a look at the Core’s video promo below to see how the device fit in your day.